If you are planning to work in either the retail or customer service industries, your interviewer is going to be eager to find out how you would interact with a customer and how will you provide them with assistance. A common job interview question for customer-focused positions is “what is good customer service to you?” By asking that, they will figure out what customer service means to you and how you will provide this service to their customers. No matter what format the question is being asked, the real question is always: what is good customer service? This is the most common question answered for various types of jobs dealing with customers. It is asked to find out what your understanding of customer service is, your level of expectation in regard to customer service, as well as your knowledge of customer service practices and principles. This is an evaluation question and you really must be prepared to answer it. One can never get a chance to make another first impression. A first time customer will only be a one-time customer if things like accessibility, layout, cleanliness and offers of assistance from employees are not available. If it is a phone related customer (a call center or call to the business) how quickly was the call answered? Was the customer helped? Was the customer directed to the correct person or department? These questions do matter on gaining a good first impression. Listening and ask properly help you know your customer's need in the most effective way. We are given two ears and one mouth and when a customer comes to us in person or on the phone we must be willing and able to listen. Proper listening and ask right questions help you resolve the customers’ needs and assist them properly. Having good product knowledge and understanding is a key to meet the customers’ needs in efficient and effective manner. Along with knowledge, a positive attitude is a necessity, which is a core principle in good customer service. Being willing to provide proper attention to customer issues and dealing with them in an appropriate manner is a major component to good customer service. Service should always be provided with politeness, understanding and respect. It is imperative to attend to customers concerns promptly and accurately. Being committed to keeping your promises and meeting deadlines or delivery dates is essential. When you say something will be delivered or a problem will be solved by a specified date or time you must do so. Also ensure that you follow up with the customer to confirm complete satisfaction. This is an important way to maintain your customer for a continuing business. How would you deal with an irate customer whom is saying they will take their business elsewhere? It is a daily event that there will be an angry or irate customer. Employers know that it is not possible to resolve every customer issue. What employers are looking for are customer service representatives that will calmly listen to their customers' frustrations and provide alternate solutions. If those solutions are not acceptable to the customer, the representatives are expected to firmly yet politely deny the request. When should you initiate contact with a client? This is in some ways a tricky question. Most businesses have very strict rules when this should be done and not be done. The best way to answer this question would be for you to say that you understand that the employer will have policies and procedures in place for such an action. Although contacting the customer/client as a means for follow up to an issue or to suggest alternate products or services may be appropriate. Potential employers want to see a prospective new hire with initiative. Give us an example of when you had to solve a complex issue for a customer/client. This is your opportunity to make or break your case to be hired. If you have done any kind of work in the public you should have at least one example of how you helped a customer. If you can site an example that generated an additional sale or up-sold the customer it will be your opportunity to really impress the interviewer. Make it a question that differentiates you from other candidates. Tell us about once when you lost a customer because you were unable to help them. This is a very hard question. Nobody likes to admit failure. When dealing with people we will all fail at some point; especially, in customer service. Make sure to not only discuss the details of your failure, but what you learned from that experience. The interviewer is making an integrity check as well as determining whether you can learn from your mistakes. 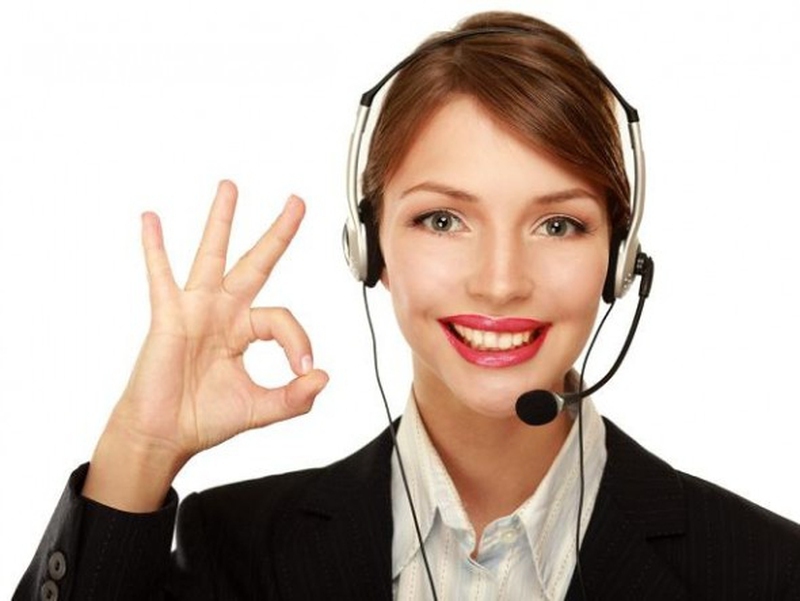 How do you determine good customer service? Here are five things to ensure good customer service for your customers, designed to increase your effectiveness and decrease customers' frustration. Be pleasant. Being courteous, friendly and pleasant will turn a bad situation more manageable. It will increase the likelihood of repeat business and customer satisfaction. This is a win-win for both the customer and the business. Avoid taking your bad moods to the customer. Customers are the reason why we have a job. Your personality, and preparedness are a direct reflection on your company. You are the one that the customer looks at as the company. Be prepared. For a customer there is nothing that becomes more frustrating than talking to a customer service representative that is not ready to work. Be ready for your customers. Did you not plan to work while you were at work? Value the customers' time. If you are going to put a customer on hold for more than a few minutes, explain why you are doing so and how long it will be. Ask them if they want to be called back or would prefer to wait. Think of how you would want to be treated. Never promise something you cannot deliver. When I bought a virus protection plan for my computer, I was told it would protect me from every virus. This has proven to be so untrue. It doesn’t matter who makes the program, even the best virus protection can be compromised. The moral is never promise something to a customer you cannot do or deliver. 24% of customers will choose you over your competitors for two years. 35% of customers will write about you on internet sites such as Yelp. 45% of customers will tell about their experience on social media sites. 52% of customers will be repeat customers. 81% of customers will tell their family and friends about their experience. All the above status is telling a fact that customers are not unreasonable; convenient and fast service offered with respect are always give customer a good experience.